In a set of [Fe/Cr]n superlattices, magnetization curves and spectra of ferromagnetic resonance under an in-plane magnetic field have been studied at room temperature. Along with the acoustic branch, several additional branches have been observed in resonance spectra. Resonance spectra have been calculated analytically for a structure with an infinite number of layers and numerically for finite numbers of layers in real samples using a model of biquadratic exchange taking account of the fourth-order magnetic anisotropy. 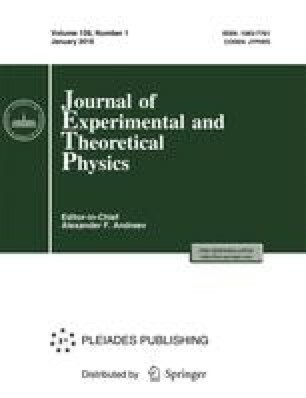 A possibility of describing both static and resonance properties of the system in terms of this model has been demonstrated.